I left Beijing very early on the morning of November 7. The next stop on my schedule was Changsha. Situated in the river valley along the lower reaches of the Xiang River, Changsha is the capital city of Hunan Province. Changsha is also famous for it’s chilli pepper. The city of Changsha exists for more than 3000 years. About 130 kilometres southwest of Changsha, you can find the village of Shaoshan, the hometown of Chairman Mao Zedong. Today, the village has become a memorial place for Chinese people to remember Mao Zedong. Changsha has a population of more than 6 million people. One third of these people live in the city centre. 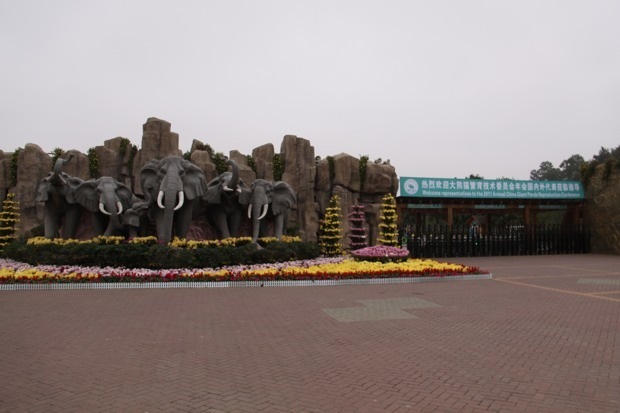 For this reason, the Changsha Garden Bureau decided to close its old zoo in the city and to open the new ‘Changsha Ecological Zoo’ outside of the city in September 2010. 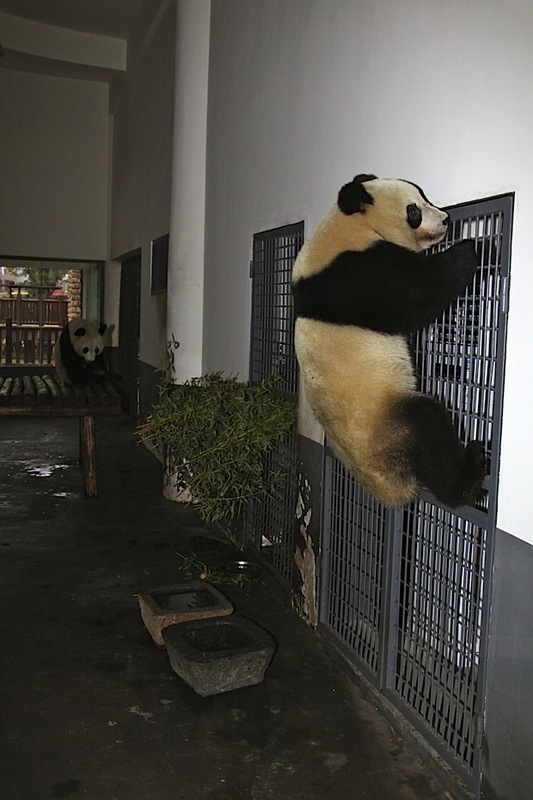 It is a real nice modern facility, an example is it’s Panda House. 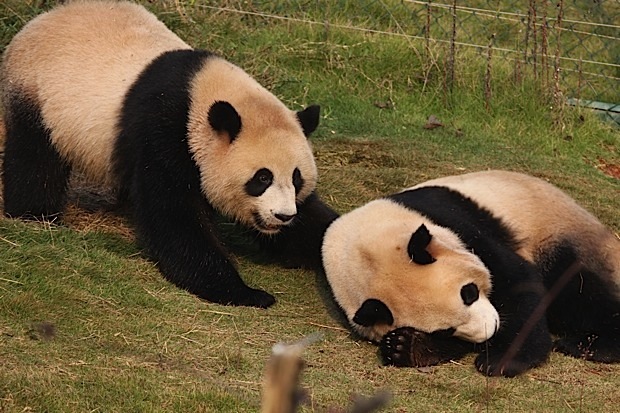 On September 29, 2010 two young giant pandas Bei Bei & Da Mao were loaned from the Chengdu Research Base of Giant Panda Breeding. 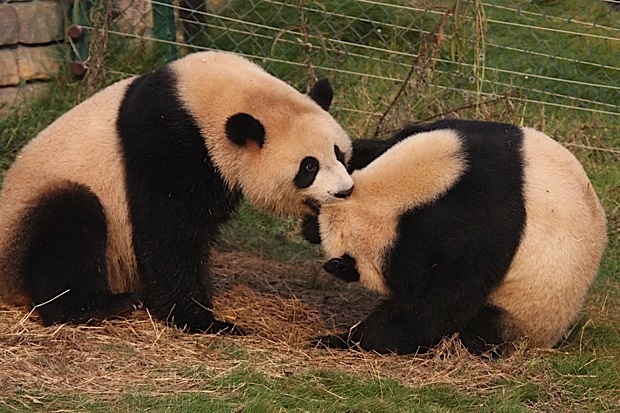 Bei Bei (female) was born on August 10, 2008. Her mother is Qi Zhen. Da Mao (male) was born on September 1, 2008. His mother is Mao Mao. 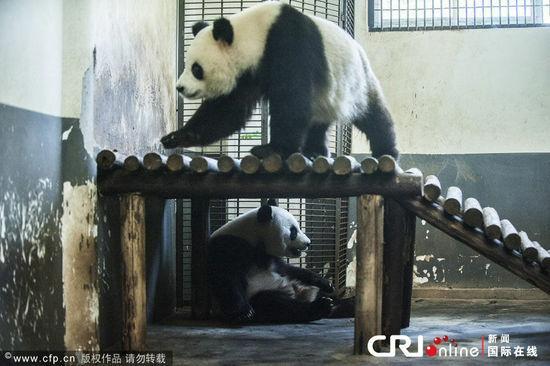 2 other pandas joined them recently. Qi Fu & Ni Ni arrived in Changsha on November 5, 2011. Qi Fu (female) was born on July 26, 2008. Her mother is Qi Yuan. Ni Ni (female) was born on August 23, 2008. Her mother is Cheng Ji. Qi Fu & Ni Ni will stay inside for one month for quarantine purposes. 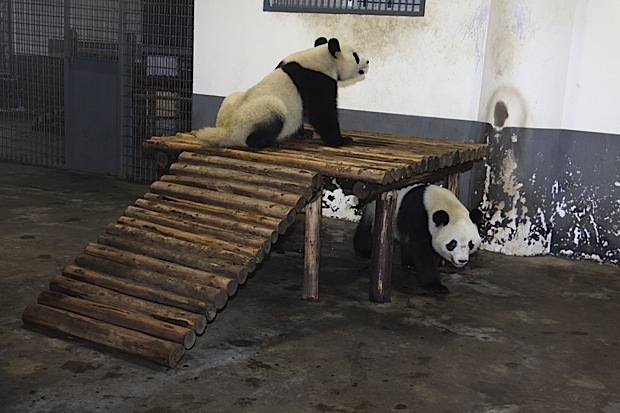 After this period, they will join Bei Bei & Da Mao outside. Although it is still uncertain if the four will live together, or in two groups of two. Go to our Photo Gallery or to flickr to see more pictures! 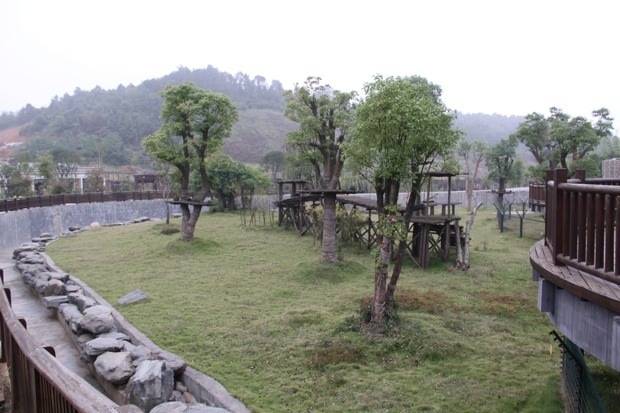 Tomorrow I will join the Annual Conference of the Chinese Committee of Breeding Techniques for Giant Pandas at the Gold Source Hotel in Changsha and meet many of the world’s panda experts.